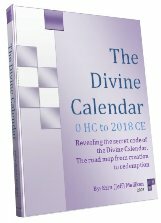 Why the following coincidences should have occurred this year, is still an open question and only time will reveal G-d’s secrets as they unfold for us. 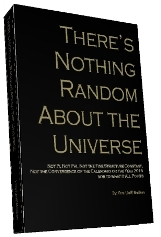 Through countless revelations and as explained in depth in The Divine calendar and There’s Nothing Random about the Universe, the time of the geula, final redemption will be in a few short years starting at 5777.78 and throughout 5778, so it’s not far fetched that with the universe falling into alignment with this swiftly approaching date that the plunging dow would set some benchmarks in accordance. And so we see that on 9/29/08, on erev Rosh Hashonnah, 5769, on the dawn of the final 9 years the plunged a record 777.78 points. Many of us took that as a sign, as it soon became obvious to the world that all the kings men couldn’t put humpty-dumpty back together again, the world as we knew was irreparable broken and nothing our leaders (political and financial) could do would make it right, no matter how much of our money that they threw or planned to throw into the abyss. But then on 10/10/08, the day after Yom Kippur, the dow fell to its lowest point of intra-day trading since who knows when at 7773.73. And on 2/10/09, the day after Tu B’Shvat, the Rosh Hashannah of the trees (connected with the tree-of-life) the dow closed at 7888.88. And we know that the 8‘s must play some significant role as nearly all the biblical and significant historic Jewish calendar dates end in 8, including the latest year of Israeli statehood in 1948 and the year prophesied for the Moshiach, messiah, in 2018. No one can plan these quirky alignments of numbers, and for all the trading days they only occur rarely, and of late have not occurred on any dates not associated with the Jewish Holidays, which it must be said are all based on cosmic windows and not to commemorate historic events. So the question of who could arrange for these odd alignments of dates and numbers and why has the same answer. If man couldn’t have caused this arrangement that leaves only G-d, and if G-d is aligning these dates and the numbers that we think control our fortunes it must be to show us who is really in control. He may have other reasons, of course, and time will reveal these as well, but it’s enough to know that the solution for the darkness that is befalling us is not to be found in the hands of our brethren–the bankers, lawyers, politicians, pundits, financial wizards, and gurus, nor in the reporters and newscasters–it’s found in ourselves and in the understanding of what G-d wants from us. We can only ask what will Purim, Pesach, Shavuot, and Tish B’Av bring?